With the stigma surrounding marijuana slowly changing, there are suddenly more uses. One of the communities to start recently using cannabis for health reasons is the pregnancy community. This has come with some skeptical resistance from some health professions. Others feel like this is a perfectly safe solution for expecting mothers. But, does the science actually support marijuana use among pregnant women? Here is everything you need to know. One important thing to note is that most expecting mothers using marijuana are under the age of 26. This is not all together surprising seeing as millennials are on the curve of what’s new. It should also be said that not every state has seen an increase in marijuana use. Unsurprisingly, California is the state where the use is the highest. As it stands right now, over 19% of California pregnant women under the age of 24 are currently using marijuana. This is rising at a steady pace since being at only around 4% a few years ago. Much of this change has to do with the way that California continues to be a marijuana progressive state. This number is only expected to continue to rise once recreational marijuana starts selling early next year. The one concerning thing about this study is that 21% of pregnant women under the age of 18 are also using marijuana. This certainly isn’t helping to convince conservative lawmakers to decriminalize the drug all together. One question that many people have is why. Why would a pregnant women use a “controlled substance”? Pregnancy isn’t always a fun a magical time. Every woman has different experiences during their pregnancy and not every experience is enjoyable. Most notable, is morning sickness. The constant nausea and upset stomach can make even the smallest task seem impossible. One of the most common benefits of marijuana is it calms down nausea. Body aches are another concern of most pregnant women. These body aches and pains only get worse the further along the pregnancy gets. Marijuana helps to relax muscles and calm growing pains which is another reason why pregnant women use cannabis. The same can also be said when it comes to curing insomnia. It is very important for pregnant women to get the proper amount of sleep in order to have a healthy pregnancy. Sleep doesn’t come easy when you are dealing with pregnancy anxiety and stress. That’s where cannabis comes into play. Cannabis is a natural way to calm the body and mind and help you fall asleep. While there is no denying the many health benefits of marijuana, you can’t ignore the biggest question. Is it safe for pregnant women to use marijuana? The answer to this question isn’t easy. There are many conflicting medical reports. While some professionals don’t encourage marijuana use, others say that it is fine in moderation. 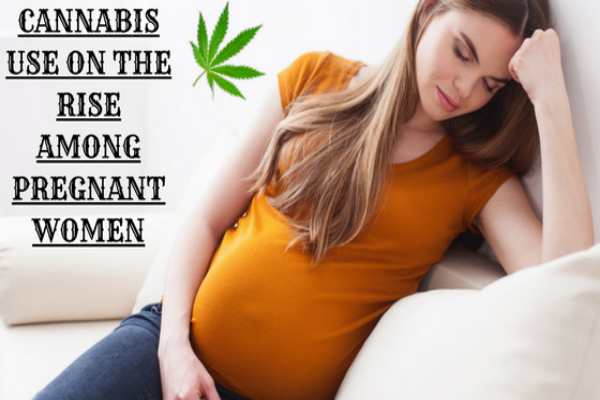 One of the biggest misconceptions about pregnancy and marijuana use is that cannabis use can lead to miscarriages. There is no known connection between the two. However, that doesn’t mean that there are not any negative side effects. One of the biggest risks with using marijuana has much to do with blood pressure and heart health. Recent studies show that marijuana can increase the heart rate. This could be problematic for women who already are having blood pressure problems. Pregnant women generally have higher blood pressure, so the increased heart rate can cause some severe heart problems. Medical professionals also warn about using marijuana during the early stages of pregnancy. The first trimester is the most important because this is when all the important development happens. There are some studies that show that using marijuana in the early stages can harm future developments in children. It should be noted, however that the chances of this happening are still rather low. The biggest complication that medical professionals are seeing is that some children born have slower response and reaction times. This could be due to prolonged exposure to marijuana in the womb. It should also be said that THC in breast milk can also lead to slower response times in newborns. So, is it worth it? While there are so many benefits from cannabis there still isn’t enough research to deem it safe to use when pregnant. The best thing to do would be to have a serious and open conversation with your doctor before self treating with marijuana while pregnant. It is also important to remember that marijuana is constantly changing. This means that one day soon there may be a completely safe solution for pregnant women. Ashley Jacobs is a professional blogger covering various news and topics related to health benefits of weed. Currently, working for Pot Valet – a leader of cannabis dispensary culver city that delivers marijuana within 45 minutes. Ashley has extensively written about medical marijuana and related products. Follow his company on G+ and Facebook.